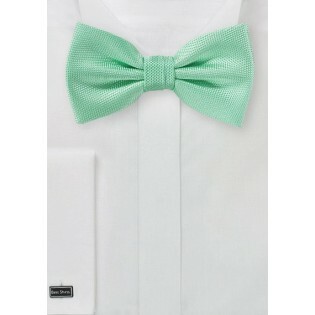 This stylish microtexture bow tie in mint will be the perfect addition to your wardrobe this season. What’s more? This innovative new line by Puccini artfully combines elements of classic men’s fashion with an upgraded cut and matted texture sure to add a contemporary flair to your wardrobe while remaining a sensible office accessory. 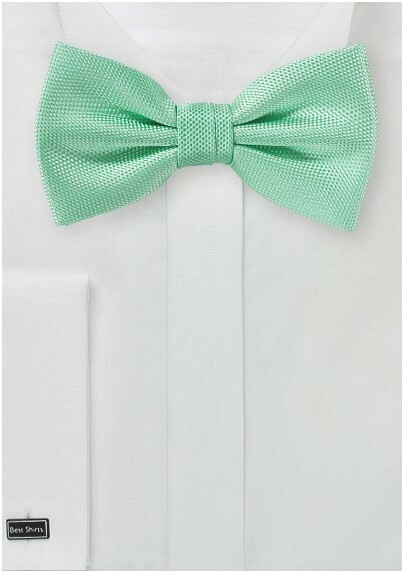 Just like your favorite scoop of mint ice cream, this color is refreshing and cooling.